The Wednesday BCAT bus service will be suspended for the foreseeable future. 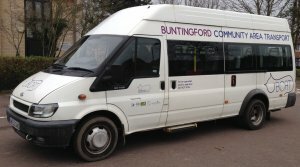 The Buntingford Community Area Transport (BCAT) is a community bus service that serves the residents of the town. The BCAT bus route will be changing from the 1st of October 2018. 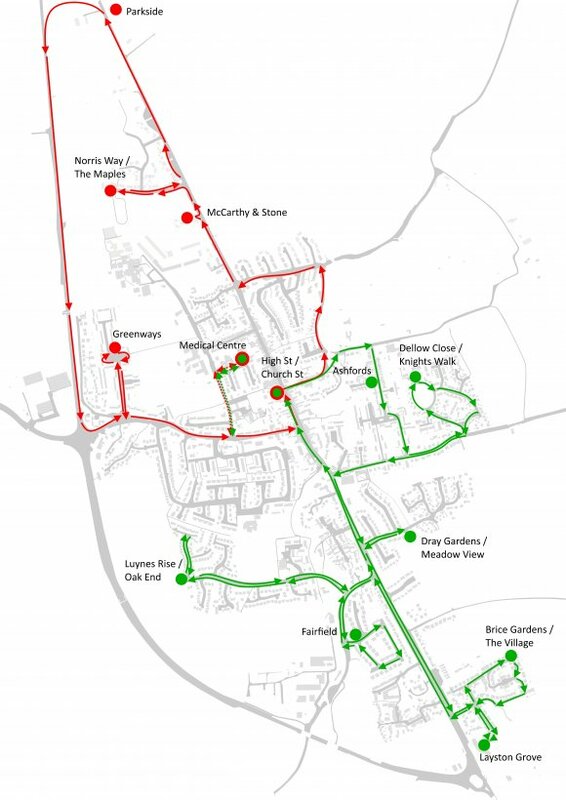 There will be a new figure 8 route around the town as well as four different village services. Each day will run a different village service in between the town route. You can see all the different routes and guides to timings below. Alternatively click here to download the guides to timings. There will be a charge of £1 per journey to cover running costs. Unfortunately, we are unable to accept concessionary passes. If you would like to find out more information about this service, please visit the Clerk's Office, contact us on 01763 272222 / 07391994723 or email clerk@buntingford-tc.gov.uk.